This, one of the most majestic views of the Grand Tetons is from a sharp bend in the Snake River. 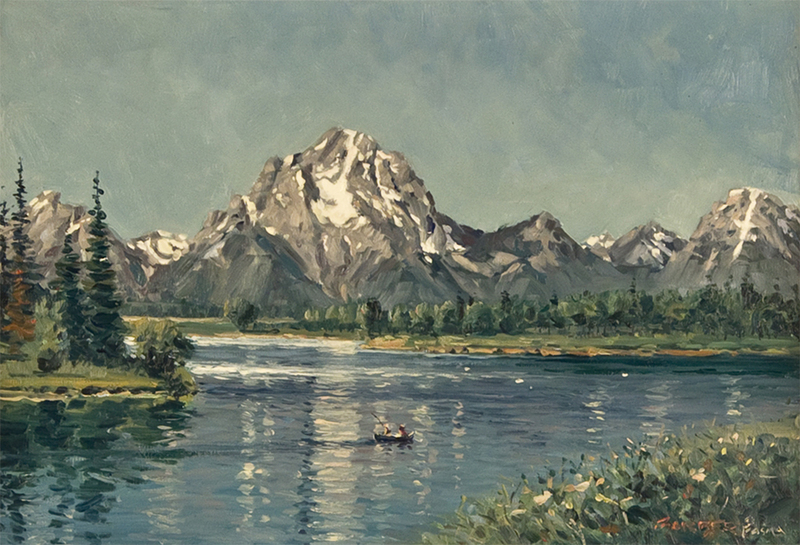 From the riverbank we look upon the distinctive Mount Moran and surrounding countryside. 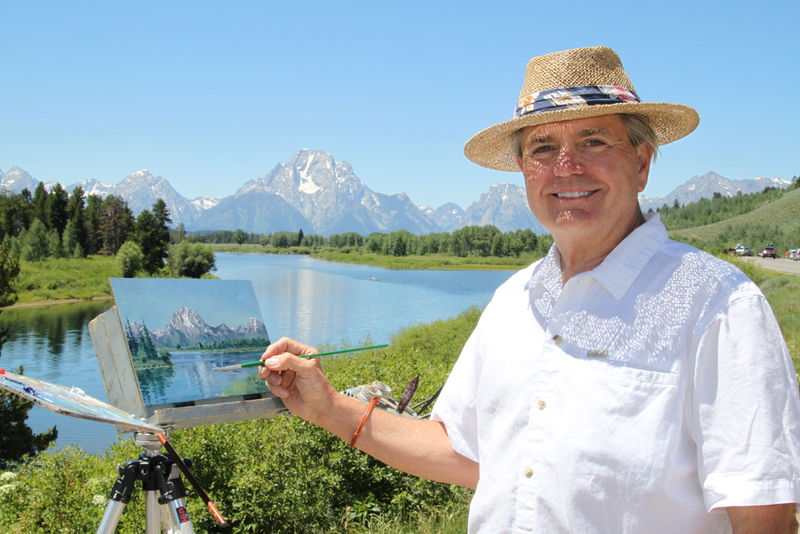 As I painted here, on location, moose and elk grazed across the river to my left. Oil on Art Board. Art 8″ x 12″. Overall Framed 13 3/4″ x 17 1/2″. Not for Sale – Artist’s Collection. However, I will create a similar piece expressly for you!